I've always like how great animated short films try to entertain us. Luckily every now and then they do more than just entertain us, they can also be very informative. Like this animated short I found on Vimeo. "Coffee Propaganda" is set on an alien planet where they recently discovered the coffee bean and it's miraculous physiological properties. I can say that I'm really glad that I drink coffee now because I thought it was going to be bad for me like what they say about cigarettes. Now I know it's good for my health but really bad for the wallet when you buy it at Starbucks. 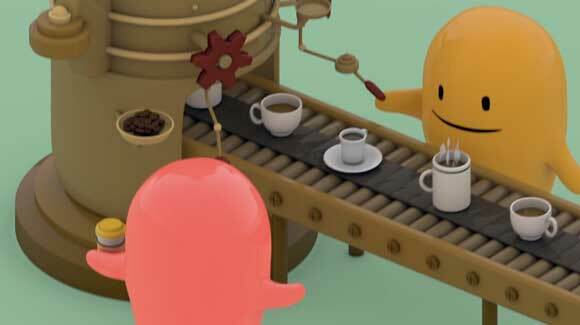 Watch the animated short film after the break and learn a couple more things about coffee in the next 2 minutes.